Delighted to offer this 3 bedroom HMO property in the Garthdee area of Aberdeen within walking distance to RGU, near a main bus route tot he city centre and local amenities nearby. Accommodation Comprises: Lounge, Fully Fitted Kitchen, Bathroom with Shower, 3 Bedrooms and Storage cupboard. property also offers: gas central heating, double glazing, door security entry, shared garden and permit parking. We are pleased to offer, this one bedroom second floor flat situated just off of Bedford Road, within easy walking distance to the city centre, Aberdeen University and local amenities. Accommodation: Dining Kitchen, Lounge, Bedroom and Shower Room.This property also offers gas central heating, double glazing, door security entry and on street parking. Delighted to offer this 1 bedroom, ground floor flat situated in a quiet cul-de-sac, in the Bridge of Don area of Aberdeen, with easy commute to city centre and local amenities. RENTAL includes WI-FI ACCOMMODATION COMPRISES: Lounge on open plan with Kitchen, Storage Cupboard, Bathroom with Shower and Double bedroom with fitted wardrobes. PROEPRTY ALSO OFFERS: Door security entry, Electric heating, Double glazing, Private parking and Shared Gardens. This one bedroom property is situated just off of King Street within walking distance to the Beach, City Center and Aberdeen University with local amenities nearby, ACCOMMODATION COMPRISES: Lounge, Fully Fitted Kitchen, Bathroom with Shower and Double bedroom PROPERTY ALSO OFFERS: Electric heating, door security, permit parking and double glazing. Well presented 2 Bedroom, self contained ground floor flat situated in the Woodside Area of Aberdeen within walking distance to Aberdeen University and with good transport links to the City Centre and Dyce. Local amenities nearby. Accommodation Comprises: Lounge, Fully Fitted Kitchen, Double Bedroom, Single Bedroom (or Study), Bathroom with Shower. Property also offers: On street parking, Gas central heating, Double glazing, and shared garden. Delightful 1 bedroom first floor property situated in the popular are of Rosemount minutes walk from city centre and local amenities. Accommodation Comprises; Bright Spacious Lounge with Sofa Bed, Large Fully Fitted Dining/Kitchen, Double Bedroom and Shower Room. This property is very spacious and light it also benefits from gas central heating, double glazing, security entry system, shared garden and on street permit parking also the communal areas are well decorated and clean. This Fully Furnished Self Contained Ground Floor 3 Bedroom apartment is within 5 minutes walk to city centre, union square, train and bus station. HMO license. Accommodation Comprises: Lounge, Fully Fitted Dining Kitche, 2 Double Bedrooms, Twin Bedroom and Bathroom with Shower, W.C. and Study area. This property also offers gas central heating, double glazing, permit parking, shared garden, and fully alarmed. ALSO has an HMO License. Delighted to offer this second floor, one bedroom apartment situated in the Rosemount area of Aberdeen within walking distance to ARI and city centre. Accommodation comprises: Lounge, Fully Fitted Kitchen, Bathroom with Shower and Double Bedroom. Property also offers: gas central heating, double glazing, door security entry and on street parking. Two bedroom second floor apartment situated in the Froghall area of Aberdeen within walking distance to Aberdeen University, Sports Village and the City Centre with local amenities nearby also. ACCOMMODATION COMPRISES: Lounge, Fully Fitted Kitchen, Bathroom with Shower and 2 Double Bedrooms PROPERTY ALSO OFFERS: Security entry, Double glazing, Electric heating and on street parking and fully furnished. This Fully Furnished First Floor Flat is situated within walking distance to the city centre and close to all local amenities and of a main bus route Accommodation Comprises: Lounge, Fully Fitted Kitchen, Double Bedroom and Bathroom with Shower. This property also offers, gas central heating, double glazing, security entry system and permit parking. Delighted to offer this 3/4 bedroom detached house in the sought after Ferryhill area of Aberdeen. ACCOMMODATION COMPRISES: Ground Floor: Large Lounge, Dining Room, Fully Fitted Dining Kitchen, WC, Study or 4th bedroom. First Floor: 2 bedrooms, bathroom with shower, master bedroom with en-suite shower room. PROPERTY also offers: gas central heating, double glazing, private front and back garden and driveway, also garage. Delighted to offer this city centre 2 bedroom apartment with private parking, within minutes walk to Union Street and Union Square. Recently been redecorated and NEW kitchen and Bathroom installed and NEW flooring throughout. Accommodation Comprises: Lounge, 2 Double bedrooms, Fully Fitted Kitchen, and Shower Room Property also offers: electric heating, door security entry, double glazing and private parking for one car. 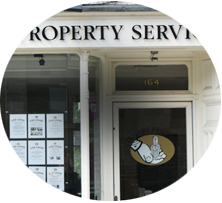 Property can be leased furnished or unfurnished. This Fully Furnished, Large One Bedroom, First Floor flat is situated in the \"heart\" of the city centre. Local amenities and transportation on the door step! Accommodation Comprises: Lounge, Fully Fitted Dining Kitchen, Double Bedroom, Bathroom with Shower and a Large walk in cupboard. The property also offers, gas central heating, double glazing, security entry system and permit parking. We are delighted to offer this bright, airy, well presented, second floor, two bedroom property situated just off Holburn Street. Within in easy commute to the city centre, and South of the city. Local amenities and public transport close by. Accommodation Comprises: Lounge, Fully Fitted Dining Kitchen, 2 Double Bedrooms both with Fitted Wardrobes and Bathroom with Shower. Property also offers: Gas central heating, Double glazing, Door security entry and Private parking. This Fully Furnished 3 Bedroom Mid Terraced House, situated in the Garthdee Area of Aberdeen, close to amenities and on a main bus route to the city centre. With HMO licence. Accommodation Comprises: Lounge, Fully Fitted Dining Kitchen, Conservatory, Bathroom with Shower and 3 Double Bedrooms. This property also offers double glazing, gas central heating, private parking (permit) and private garden. Property has HMO license. This fully furnished second floor flat is situated in the Torry Area of Aberdeen, close to a main bus route and all local amenities within walking distance. Accommodation Comprises: Lounge, Fully Fitted Kitchen, Bathroom with Shower and 2 Double Bedrooms.This property also offers gas central heating, double glazing, door security entry and on street parking. This 2 bedroom flat is situated few minutes walk from Aberdeen University, Kittybrewster Retail Park, and excellent transport links to the city centre. Property has recently been repainted and 2 new carpets fitted. ACCOMMODATION COMPRISES: Lounge, Kitchen, Bathroom with Shower, Double Bedroom and Single Bedroom. PROPERTY ALSO OFFERS: Permit street parking, Gas central heating, Double glazing, Door security entry and Shared rear garden. Delighted to offer this 2 bedroom flat situated in the heart of the city centre. Top floor flat, bright and airy. Accommodation Comprises: Lounge, 2 Double Bedrooms one with En-suite Shower Room, Separate Bathroom with Shower and Dining Kitchen. This property also offers, double glazing, gas central heating, door security entry and permit parking. Fully Furnished 2 bedroom first floor flat situated in a block of 4 properties, situated in Holburn area of Aberdeen near Garthdee. Within walking distance to Aberdeen City Centre, near a main bus route and local amenities. ACCOMMODATION Comprises: Lounge, Fully Fitted Kitchen, Bathroom with Shower and 2 Bedrooms. PROPERTY also offers: on street parking, gas central heating, double glazing, door security entry and private garden to be maintained by tenants. Delighted to offer this 3 bedroom HMO property in the Garthdee area of Aberdeen within walking distance to RGU, near a main bus route tot he city centre and local amenities nearby. Entry from June 2019. Accommodation Comprises: Lounge, Fully Fitted Kitchen, Bathroom with Shower, 3 Bedrooms and Storage cupboard. property also offers: gas central heating, double glazing, door security entry, shared garden and private parking. WFI included in the rental. This delightful 2 Bedroom, Second Floor flat is situated in the Bucksburn area of Aberdeen, within easy commute to Dyce, Bridge of Don and West of the City. On a main bus route and local amenities nearby. Accommodation Comprises: Lounge on Open Plan Fully Fitted Kitchen, 2 Double Bedrooms with built in wardrobes, Bathroom with shower and Storage cupboard. Property also offers: electric heating, double glazing, door security entry and private parking space. Delighted to offer this 2 Bedroom flat situated in a private development within a minutes walk to the city centre. ACCOMMODATION COMPRISES: Lounge, Fully Fitted Dining Kitchen, 2 Double Bedrooms with Fitted Wardrobes and Bathroom with Shower. PROPERTY ALSO OFFERS: Gas central heating, Double glazing, Door security entry and Private parking space. Delighted to offer this 2 Bedroom Apartment situated near Aberdeen Beach and within walking distance to Aberdeen University and the City Centre of Aberdeen, With Excellent amenities in the area also. Accommodation Comprises: Lounge, Fully Fitted Kitchen, Bathroom with Shower, 2 Double Bedrooms and En-suite shower room. Property also offers: gas central heating, double glazing, security entry and private parking. Delighted to offer this ground floor self contained flat, recently refurbished, situated in the Hilton area of Aberdeen with a shared back garden. Within easy commute to city centre and Aberdeen Royal Infirmary.. Accommodation Comprises: Lounge with Dining Area, Fully Fitted Dining Kitchen, Bathroom with Shower, Double Bedroom and Storage Cupboard. Property also offers: Gas central heating, Double Glazing, On Street parking, Outside storage and Shared back garden. Delighted to offer this 4 Bedroom HMO licenced semi-detached, 2 storey house, located in Kincorth area of Aberdeen, within easy commute to Robert Gordons University. Locale amenities and public transport nearby. ACCOMMODATION COMPRISES: Open Plan Dining Kitchen and Lounge area, Shower room, and 4 Bedrooms. PROPERTY ALSO OFFERS: Front and rear gardens and garden shed, Double glazing, Gas central heating and on street parking. This Fully Furnished First Floor 2 Bedroom Apartment is situated in a quiet lane, just a 2 minute walk to city centre and the beautiful area of Rosemount and the West End of Aberdeen. Accommodation Comprises: Lounge with Dining Area, Fully Fitted Kitchen, Bathroom with Shower and 2 Double Bedrooms with Fitted Wardrobes. This property also offers, gas central heating, double glazing and door security entry. This Fully Furnished three bedroom flat with an HMO LICENCE is situated in the heart of the city centre of Aberdeen, with all amenities on the door step and on a main bus route. Move in after end May 2019 Accommodation Comprises: 3 Double Bedrooms, Kitchen/Lounge and Bathroom with Shower. This property also offers, electric heating, double glazing and door security entry. Ground Floor Apartment situated in the city centre and close to all amenities.Accommodation Comprises; Lounge, Fully Fitted Kitchen, Large Double Bedroom, Shower Room. This property also offers, gas central heating, double glazing, security door entry system, alarm, garden shed which is exclusive to the flat and permit on street parking. Delighted to offer this 2 bedroom mid terraced, 2 storey house, situated minutes walk to Aberdeen Royal Infirmary and near local transport links. Local amenities nearby also. Property benefits from private driveway, and private and shared gardens. ACCOMMODATION COMPRISES: Lounge, Fully Fitted Kitchen, 2 Double bedrooms with built in wardrobes, Bathroom with shower and Floored attic space. PROPERTY ALSO OFFERS: Gas central heating, Double glazing. Delighted to offer this newly decorated spacious 2 bedroom top floor apartment situated in the Torry area of Aberdeen, within walking distance to city centre, railway and bus station and Union Square Shopping mall. ACCOMMODATION COMPRISES: Lounge, Fully Fitted Kitchen, Shower Room, 2 Double Bedrooms. PROPERTY ALSO OFFERS: Double Glazing, Gas central heating, Door Security entry, On street permit parking and plenty storage. Well presented, second floor 3 Bedroom (2 level HMO property), in popular central location of Aberdeen. The property lies in a quiet tree lined street to the west of the city centre. Local amenities nearby and close to local transport links. ACCOMMODATION COMPRISES: Fully Fitted Dining Kitchen, Bathroom with Shower and 3 Double Bedrooms. PROPERTY ALSO OFFERS: Gas central heating, permit street parking, shared rear garden and storage cupboard for bikes etc. Delighted to offer this recently newly decorated first floor apartment apartment, situated within a modern development and providing easy access to Aberdeen University and the City Centre. ACCOMMODATION COMPRISES: Lounge, Fully Fitted Dining Kitchen, 2 Double bedrooms with fitted wardrobes and Bathroom with shower. PROPERTY ALSO OFFERS: Private parking, factored communal areas, double glazing, gas central heating and door security entry. Delighted to offer this first floor, 2 Bedroom flat situated near Berryden Area of Aberdeen, within easy walking distance to city centre, Aberdeen university and Aberdeen Royal Infirmary. Local amenities nearby and transport links. ACCOMMODATION COMPRISES: Lounge, 2 Double Bedrooms, Shower room and Fully fitted kitchen. PROPERTY ALSO OFFERS: permit street parking, gas central heating and double glazing. Two Bedroom property situated in the Bedford Area of Aberdeen within 5 minute walk to Aberdeen University. Accommodation Comprises: Lounge, 2 Double Bedrooms, Bathroom with Shower and Kitchen. Property also offers: Gas central heating, Double Glazing, Door Security Entry and Parking. Fully Furnished 3 Bedroom Semi Detached House with a full HMO License. Situated within a 5 minute walk to Aberdeen University. AVAILABLE to move in July 2019 Accommodation Comprises; Lounge, Fully Fitted Dining Kitchen, Master Bedroom with En-Suite, 2 Further Doubles, Bathroom with Shower. Property also offers: gas central heating, double glazing, on street parking and private garden. One bedroom first floor apartment situated in the Froghall area of Aberdeen within walking distance to Aberdeen University, Sports Village and the City Centre with local amenities nearby also. ACCOMMODATION COMPRISES: Lounge, Fully Fitted Kitchen with Dining Area, storage cupboards, Bathroom with Shower, Double Bedroom. PROPERTY ALSO OFFERS: Security entry, Double glazing, Electric heating and Private parking. Delighted to offer this Ground Floor apartment on split levels in the city centre of Aberdeen within easy access to beach, Aberdeen university and local amenities. ACCOMMODATION COMPRISES: Ground Level, entrance hallway, shower room, double bedroom and lounge off lounge stairs leading to basement dining kitchen. PROPERTY ALSO OFFERS: Permit parking, Double glazing and gas central heating. Delighted to offer this fully furnished top floor 2 bedroom flat situated in the Rosemount Area of Aberdeen, within walking distance to city centre, Berryden retail park and local amenities including cafe\'s and restaurants. ACCOMMODATION COMPRISES: Lounge, 2 Double Bedroom, Bathroom with Shower and Kitchen. PROPERTY ALSO OFFERS: permit on street parking, shared garden, door security entry, double glazing and gas central heating. Three Bedroom Flat is in a block of four and is self contained, in the Hilton Area of Aberdeen with easy commute to Dyce, Aberdeen royal Infirmary and the City Centre. Accommodation Comprises: Lounge, Fully Fitted Kitchen, 2 Double Bedrooms, Shower Room, Storage Cupboard. Property also offers: Gas Central Heating, Double Glazing, Private rear garden and communal garden, which will be looked after by landlords.